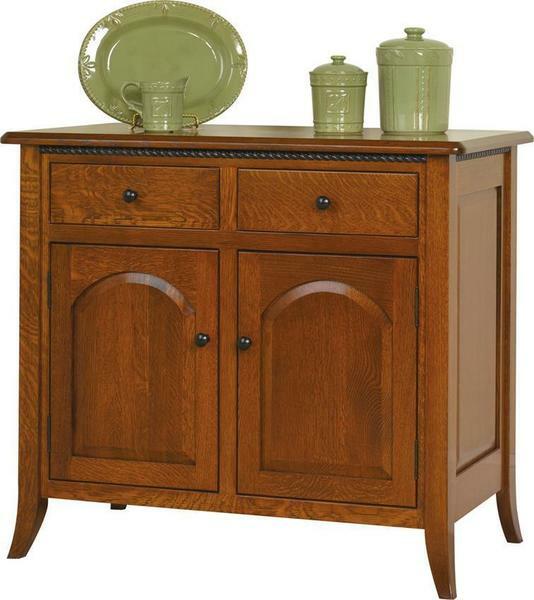 The Amish Bunker Hill Mission Buffet adds a special place to store treasured dishes, serving items and silverware and it adds a stunning piece of solid wood furniture to your home collection. We hope you enjoy customizing this wood buffet in the wood type and finish you desire most. The Bunker Hill offers two drawers, two cabinet doors and a lovely surface space for family photos, vases, candles or any items that you wish to display. We're proud to offer an exciting collection of solid wood buffets that are Amish made with custom options that make them uniquely yours. The Bunker Hill is shown here in quarter sawn white oak wood. DutchCrafters connects you to fine Amish made furniture--the kind that will last for generations. The kind your kids will want to inherit. Click on your custom options or get in touch today for top rated personal service from our friendly Amish Furniture Specialists. We thank you for shopping DutchCrafters for your fine furniture. Height: 35 1/4" or 42"